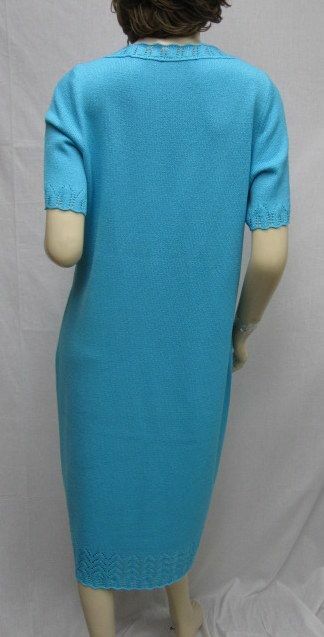 Click the button below to add the St John Knit NEW GORGEOUS Dress Turquoise Blue Size 12 14 to your wish list. 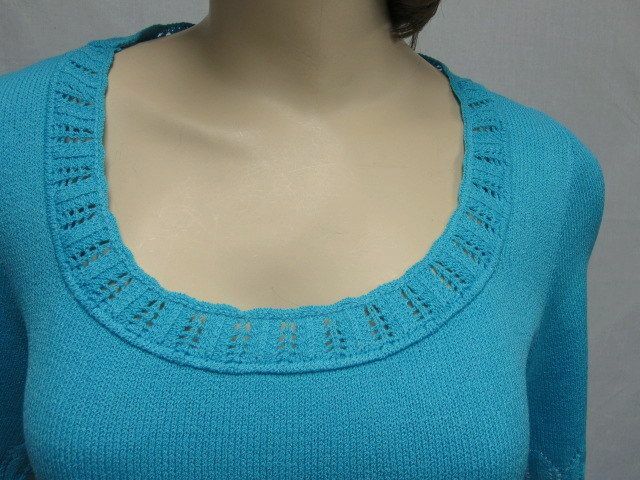 CLASSIC 4 You St John Knit NEW Turquoise Blue Santana knit DRESS SZ 12. This is a stunning santana knit dress. It is a such a beautiful color. Features a crochet trim around the neck, bottom, and sleeves. So perfect for summer!! Shoulders: 15" Bust: 41" Waist: 39" Hips: 43" Length: 42" Sleeve Length: 10"
St. John Knit NEW GORGEOUS 3 Chain Hanging Silver swarovski Crystal Jacket Zipper Pull 5"
St. John Knit NEW Light Pink SWAROVSKI CRYSTAL Jacket Zipper Pull 1"